Nice to see you on our blog. 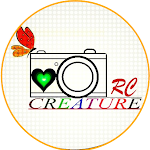 Myself Rama Chandra Sahoo, founder of this website RC CREATURE. I am from Anandapur, Odisha, India. If you want to contact me for suggestions, guest posts or any other query, then you can easily drop us an email.